Bedrooms: 6 "Plus Maids room"
Bathrooms: 6 "Plus 1 half"
Size: 6,500 sq. 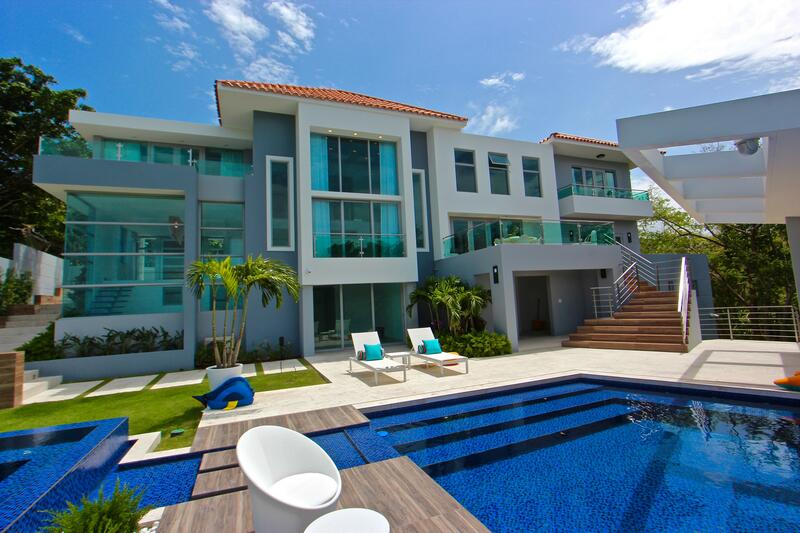 ft. "Construction Square Feet"
Spectacular home at Harbourlights Estates in Palmas del Mar Resort. Bright, Spacious, Airy, Serene, are some of the adjectives to use when describing this home. With 5 spacious bedrooms each with it's full bathroom and a separate maid's room with full bathroom and closet, there's space for everyone in the family. The home features a fully equipped gym (gym equipment not included in price) with it's own full bathroom and an independent entrance that can be accessed by the front of the home, this space can also serve as an office. In total this home has 7 rooms and 7 1/2 bathrooms (including gym and maid's room). In the main level you will find a powder room. a family room with outdoor garden area, dining room, kitchen and gym. In the upper level you will find the master bedroom and two more guest rooms (one is currently being used as an office). The master bedroom has beautiful casement windows with ceiling to floor glass where one can appreciate the views while laying on the bed. The beautiful master bath includes a whirlpool and glass shower both with amazing views of the ocean and Vieques island. The master bedroom also features an impressive walk-in closet and an outdoor terrace ideal for relaxing after a long day's work wile enjoying the beautiful views. One of the guest rooms in this level has its own sitting area with tv and sofa. Now moving to the lower level you will find two more bedrooms, a wine cellar, a game area with pool table and kitchen with direct access to the pool area, ideal for entertaining guests. And now that we mention entertaining, the pool area screams ENTERTAINING. The large gazebo in the pool includes a gas grill, refrigerator, and bar area with stools where one's guests can relax while sipping their favorite cocktail. It is important to mention that the home has the facility for an elevator (although one is not installed) and includes an emergency power generator that will run the entire house. 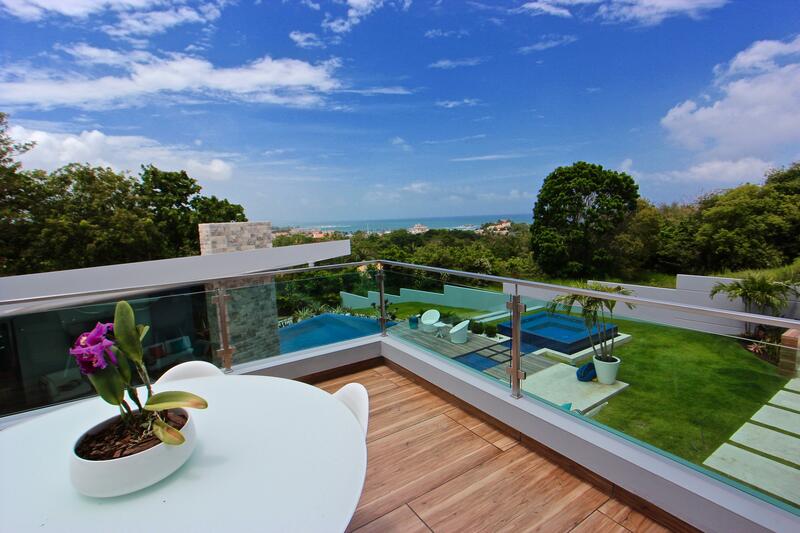 This is a turnkey property that will take your breath away. Please contact us for an exclusive private showing.